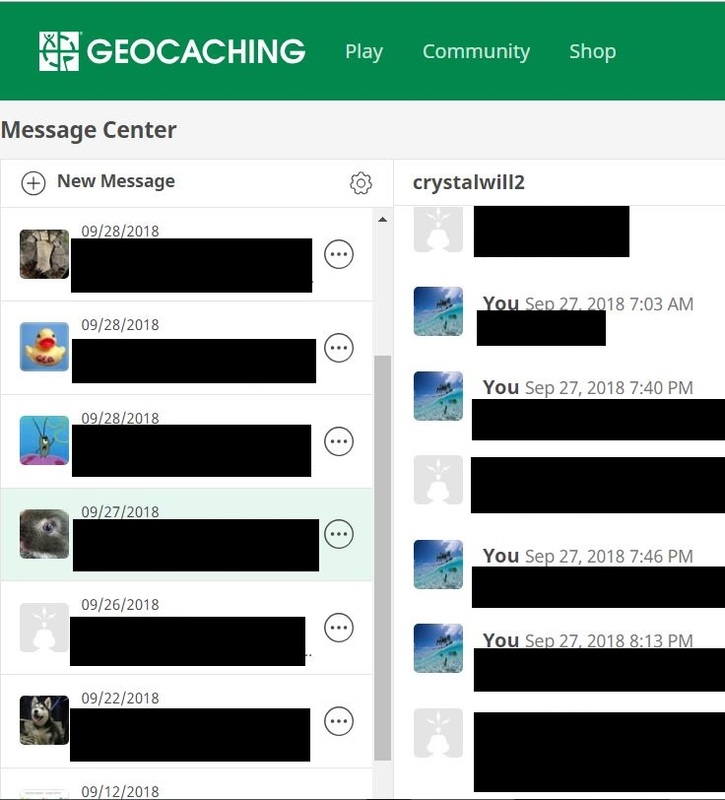 Several weeks ago, the PC-based Messenger program suddenly stopped displaying a responder's profile picture and their message's date/time stamp within the message window on the right side of the screen. Oddly, on the left side of the screen, their profile pictures are displayed just fine. Since my experience with the Messenger program is that it has some kind of a quirky bug every few months, I waited to see if the Lackeys would fix it first. This issue carries across several computers and three different browsers, so it would seem to be a problem with the website. I have attached an edited screenshot, with only the private stuff blacked out, not any date/time stamps. The cacher on the right side does have a profile pic. I've talked with several other cachers (who still use a computer) about this, and they all reported the same. I tried a few things in Chrome, Edge and IE 11, with no issues. The listed user's avatar displays just fine. It did take a moment to appear, so that could be a clue. Other previously loaded avatars were shown immediately in MC. OK, I didn't check every gray avatar, just a few including a couple that I thought did have custom ones. I'm guessing over-zealous anti-virus or other PC setting. Have you already tried clearing browser data? I would not be surprised to know that some bug affects certain users, cross-browser and on more than one PC. The MC is a rascal. I hadn't considered that it could be due to firewall/AV software, so I'll have to look into that. One thing that I neglected to mention in the OP is that other cachers are experiencing the same issue. Here's ANOTHER BUG that I just discovered, but this one has to do with this forum page. If you click on my avatar here, then you get directed to SOMEONE ELSE'S PROFILE PAGE! Yeah. That pops up in a lot of places around here. Anything but letters and numbers in a user name creates havoc with the hamsters.